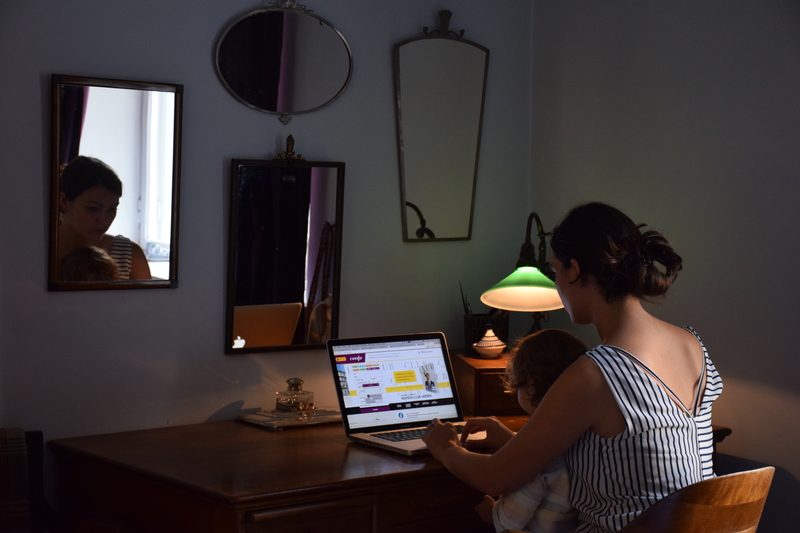 Traveling with children is not easy, but I’m about to share with you some advice that might prove useful for you at the time of purchasing the tickets. I’ve noticed that there are many services provided by Renfe (Spain’s national railway Company) unknown to many, even to those who travel often. Children under 4 travel for free. You can associate one baby ticket for each adult. However, a parent who is traveling alone with two small children (twins, for instance) must pay a child seat for one of them. This is a battle I will some day win against Renfe. Children between 4 and 14 have a 40% reduced from its total price ticket, that means, special offers don’t apply. Sometimes, if you find a good offer it’s worthwhile to buy an adult ticket for them. There are some trains on which you can’t associate the baby ticket to yours through the webpage. This usually happens on regional or medium-distance trains. Surprisingly, then it’s compulsory to keep passenger count. Don’t lose your patience: if you arrive on time to the station, you can get the baby’s ticket on the counter without an extra cost. If not, you can always inform the ticket collector once you get inside. You can request the “Atendo” service. It is a free of charge service provided for people with reduced mobility (the elderly, disabled or over-loaded parents). They will help you with your luggage, unfold the stroller and settle in, and they’ll be waiting for you at the arrival station to help you get off and get to your next transport. If your child is between 6 and 13 and you’re not able to travel with them, you have the option for them to travel alone, supervised by on-board staff from departure to arrival. It’s free of extra-charge, but there are some conditions: there can’t be any transfer, the maximum time of arrival is 10 PM and the ticket must be purchased at the counter, at least 48 hours before. Depending on the hours of your trip, food is served on business class on high-speed trains (AVE). It comes included with your ticket and it can be breakfast, lunch, mid-afternoon snack or dinner, with the option of choosing a special menu for children, halal, gluten-free or for diabetics. This can condition your choice to travel on a determined day in business class or at specific time of the day. Remember that on Saturdays this service is not operative. Make sure you have selected your seat at the end of the paying process (if the fare allows you to do so). If you are overwhelmed by the amount of your luggage and the Atendo service doesn’t seem enough, you can hire the “door to door” service to have delivered up to three pieces per ticket (the bags and the stroller for example) to your destiny three days after your arrival at the most. The cost is around 20 € per piece. We have never used it but it was an option we considered when we were beginners in traveling with babies. The Club Lounge (Sala Club). I’m surprised by the fact that so many people don’t know about it! I would like to describe it in detail on my next post, but I will give you some highlights at the moment: you are allowed inside with a business class ticket or with the gold or silver cards. There are sofas, areas to charge your phone’s battery, sweet and salty snacks, beverages, microwave, feeding bottle-heater, press, wider bathrooms… to sum up, It’s way more comfortable than waiting at the platform! If the kids were driving you crazy while buying the tickets and you suddenly realize you got the wrong dates, times, destiny… Don’t worry! You have two hours to make any change or annulment free of extra charge (regardless of the fare). As soon as you know the dates of your trip don’t wait for the last minute: buy your ticket the sooner the better. Sometimes there come out great special fares and it can be cheaper to travel in business class with all the conveniences than in tourist class. You might find a cheaper ticket on some websites such as Truecalia (non-nominative tickets only) or on Facebook groups. 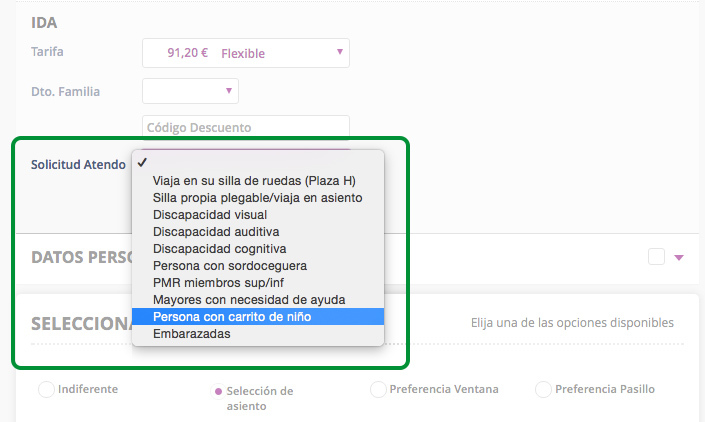 Then, you can associate your child’s ticket through the Renfe site: MAIN PAGE » OTHER TRAVELING OPTIONS » ADD CHILD < 4 in Spanish: PÁGINA PRINCIPAL » OTRAS OPERACIONES DE VIAJE » AÑADIR NIÑO <4 AÑOS. The train is, no doubt, one of the best ways to travel with children: you can stroll around, have a snack, stations are better located in the centre of cities than airports… if you know any other tricks to make your trip even easier, you will end up getting the hang of it! Can you offer us any extra advice? All ideas are always welcome! If you’d like some advice on what to do while you wait at the station, stay tuned for next post!